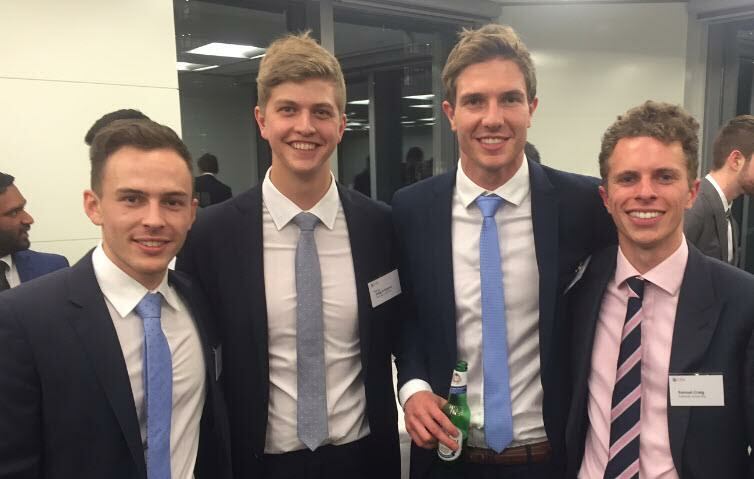 Congratulations to Matthew Nesbitt (Bachelor of Law / Commerce), Gavin Roberts (Bachelor of Law / Commerce), George O’Connor (Bachelor of Law / Commerce) and Sam Craig (Bachelor of Law / Finance) who beat over 300 teams to take out the national final of the UBS Investment Banking Challenge. The UBS Investment Banking Challenge is a competition is based on a real M&A (mergers & acquisitions) transaction. Teams were required to prepare a presentation outlining their advice towards the transaction, which was then presented to a panel of UBS investment bankers. Students from the following seven universities are invited to participate; University of Adelaide, University of Melbourne, Monash University, University of New South Wales, University of Queensland, University of Sydney and University of Western Australia. Congratulations to the team on this great achievement! For more information about the UBS Challenge, visit their website. This entry was posted in Connect, News, Study and tagged Adelaide Business School, Gavin Roberts, George O'Connor, Matthew Nesbitt, Sam Craig, UBS Investment Banking Challenge. Bookmark the permalink.